Professor George Sugai received his M.Ed. in 1974 and Ph.D. in 1980 at the University of Washington. His primary areas of interests are positive behavior support (PBS), systems change, personnel preparation, behavioral disorders, social skills instruction, behavioral consultation, behavioral assessment procedures, applied behavior analysis (ABA), and strategies for effective school-wide, classroom, and individual behavior management. Currently at the University of Connecticut, Dr. Sugai is Carole J. Neag Endowed Chair in Behavior Disorders and professor with tenure. He has taught graduate level special education courses in applied behavior analysis, emotional or behavioral disorders, behavioral consultation, social skills instruction, and classroom/behavior management. He is Research Scientist in the Center for Behavioral Education and Research in the Neag School of Education, which focuses on research and outreach activities related to promoting effective academic and social behavior supports. Sugai has presented at numerous local, national, and international conferences and professional meetings, and has served as advisor to the U.S. Departments of Education, Justice, and Health and Human Services. His international work includes projects in Jamaica, Cayman Islands, New Zealand, Netherlands, Australia, Spain, and Canada, and invitations to present in Japan, England, Netherlands, Germany, and Denmark. As Project Director or Co-Director of major training or research grants totaling over $60 million, Dr. Sugai has ample experience in the implementation, operation, and supervision of grant-related projects. Dr. Sugai has a noteworthy publi­cation record in refereed journals. He has published over 150 peer-reviewed articles, numerous monographs, and five college textbooks on effective teaching practices and ABA. Dr. Sugai’s research emphasizes effective applications of ABA principles and PBS procedures to problems found in educational contexts. The subject populations include students with severe challenging behavior, students with at-risk behaviors, and students described as having severely challenging behaviors. His recent work has focused on school-wide student populations related to school climate, culture, and leadership. 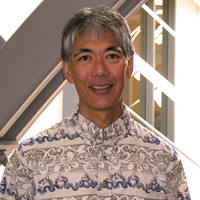 Dr. Sugai is currently co-director (with Rob Horner at the University of Oregon and Tim Lewis at the University of Missouri) of the national Center on Positive behavioral Interventions and Supports (www.pbis.org). The Center has been established by the Office of Special Education Programs, US Department of Education to give schools capacity-building information and technical assistance for identifying, adapting, and sustaining effective school-wide disciplinary practices. The Center has two foci: (a) broad dissemination to schools, families, and communities about a technology of school-wide positive behavioral support exists, and (b) demonstrations at the level of individual students, schools, districts, and states of effective and feasible implementation of school-wide positive behavioral support. He also co-directs (with Mary Beth Bruder) the OSEP Early Childhood Personnel Center (www.ecpcta.org). This center facilitates the implementation of integrated and comprehensive early childhood systems of personnel development (CSPD) for all disciplines serving infants and young children with disabilities. Horner, R. H., & Sugai, G. (in press). Future directions for positive behavior support: A commentary. Journal of Positive Behavior Interventions. Sugai, G., Freeman, J., Simonsen, B., La Salle, T., & Fixsen, D. (2017). National climate change: Doubling down on our precision and emphasis on prevention and behavioral sciences. Report on Emotional Behavioral Disorders in Youth, 17(3). 58-63. Stephan, S. H., Sugai, G., Lever, N., & Connors, E. (2015). Strategies for integrating mental health into schools via a multi-tiered system of support. School Mental Health, 24(2), 211-232. Sugai, G., & Horner, R. H. (2009, invited). Responsiveness-to-intervention and school-wide positive behavior supports: Integration of multi-tiered approaches. Exceptionality, 17, 223-237. Fairbanks, S., Simonsen, B., & Sugai, G. (2008). Classwide secondary and tertiary tier practices and systems. Teaching Exceptional Children, 40(6). 44-54. Sugai, G., & Horner, R. (2006) (invited paper). A promising approach for expanding and sustaining the implementation of school-wide positive behavior support. School Psychology Review, 35, 245-259. Ingram, K., Lewis-Palmer, T., & Sugai, G. (2005). Function-based intervention planning: Comparing the effectiveness of FBA indicated and contra-indicated intervention plans. Journal of Positive Behavior Interventions, 7, 224-236. Sugai, G., & Horner, R.H. (2002). The evolution of discipline practices: School-wide positive behavior supports. Child and Family Behavior Therapy, 24, 23-50. Colvin, G., Sugai, G., Good, R. H., III, & Lee, Y. (1997). Using active supervision and precorrection to improve transition behaviors in an elementary school. School Psychology Quarterly, 12, 344-363. Wolery, M. R., Bailey, D. B., Jr., & Sugai, G. M. (1988). Effective teaching: Principles and procedures of applied behavior analysis with exceptional students. Boston, MA: Allyn & Bacon.